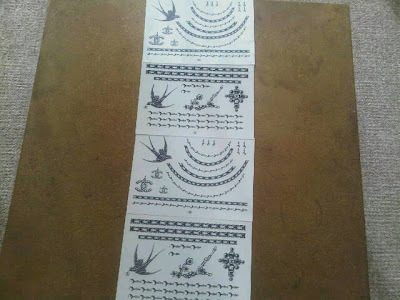 I lucked out and got my hands on these Chanel temporary tattoos like the ones worn on the models during their S/S 10 show! They're set to be released in March on the Chanel website, but I've already been having some fun with them on editorial shoots. I will be sure and show you the results when the shoots are published! P.S. Chanel has a pretty cool podcast on itunes. It's free, so subscribe now!